Canadians have the opportunity to join a wide-ranging discussion in-person or on social media with Foreign Affairs Minister Chrystia Freeland and top journalists from CBC News and The Washington Post on Canada-U.S. relations in the wake of the midterm elections. 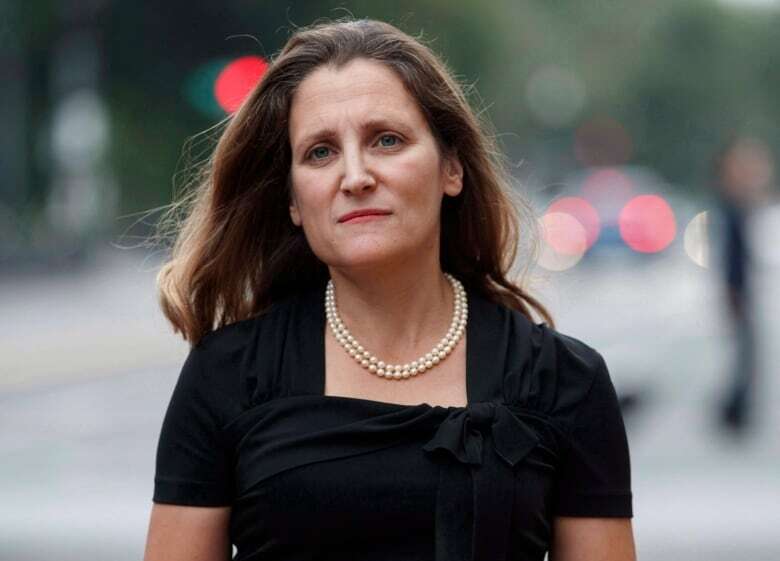 The National co-host Rosemary Barton and Washington Post senior political reporter Aaron Blake are leading the discussion with Freeland, who was the lead negotiator for the USMCA trade deal. Canadians can submit questions to Freeland and the journalists in-person and on Facebook during the event. Planned topics of discussion include the midterm results, trade, climate change, border security, press freedom, the evolving relationship between the two nations and Canada’s priorities moving forward. The National co-host Adrienne Arsenault, CBC News Washington correspondent Keith Boag and Washington Post congressional reporter Karoun Demirjian are also taking part in the discussion. The event is being held at CBC Toronto in the Barbara Frum Atrium. Limited tickets are available to local audiences, but the discussion is being live-streamed from 7 to 8:30 p.m. ET on CBCNews.ca, as well as The National‘s Facebook, Twitter and YouTube pages. The full event will also air on Friday, Nov. 9 on CBC News Network at 8:00 pm ET, and highlights will air that night on The National at 10 p.m. ET.